Dodge Dakota is probably the most popular mid-size pickup in the U.S. The Dakota was produced by Dodge from 1987 until 2011. Almost 25 years of consistent engine development and engineering helped make this pickup to be a great buy. The Magnum engine that was used from 1992 to 1996 helped push Dodge into new territories. The V8 power was something new compared to the V6 standard in Dodge pickups. The Dakota remained a top seller because of consumer demand and its roadworthy performance. We have Dodge Dakota 5.2L engines for prices that will never be matched on the Internet. Browse our inventory here. The Magnum engine provides a nice range of horsepower. Some truck owners are concerned only with the amount of torque that a truck provides. We know that horsepower is part of the overage power package. The rebuilt Dodge engines that you’ll find here are not short on power. These engines are truly in good hands. Our entire team of engine mechanics has input when we begin a rebuild. Each of our employees is assigned a specific job to complete. We don’t allow just one employee to take control of the rebuild. We’ve found that our accuracy is much higher when it’s a team effort. You would probably have trouble getting an engine from an auction website that includes more than a one-month warranty. 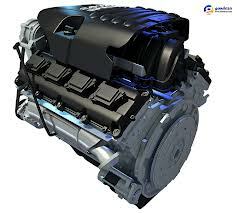 We understand the frustrations for truck owners and mechanics that buy engines online. No one wants to be put through dealing with a problematic engine. We understand the importance of each side of our customers. We’ve adjusted our warranties to reflect our commitment to quality. It does not matter if a business owner or truck owner orders an engine. The engine still comes with an unlimited mileage engine warranty for a maximum period of three years. This is plenty of time to be sure that our engines are top quality and give superior performance. When it comes to shipping, you probably won’t find a better deal elsewhere. We pay our shipping staff excellent salaries. We do this because we don’t have to handle returns. We get it right the first time. Each rebuilt Dodge Dakota engine that is shipped is handled with care. We do a pre-shipment inspection to give one last overview of an engine. This helps more than most people realize. A loose wire or other defect can mean the difference of an engine that starts up and one that fails. We keep our reputation for our engine company high. We put in the additional work to assure each of our rebuilt engine customers of our expert level of service here. Our pricing surprises a lot of people. The quality, the craftsmanship and the speed of our shipping should call for higher prices here. We’ve lowered all rebuilt engine pricing and make this pricing easy to obtain. Get your online quote from this website or call our toll free number right now. We’ll give you the professional experience and quality that you demand in a rebuilt engines dealer online.